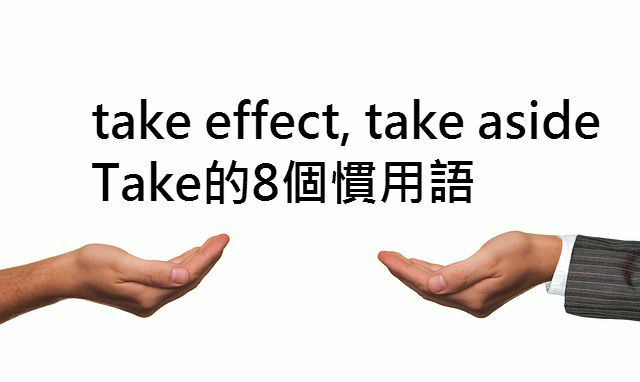 你知道take note, take side, take effect, take place這些和take 有關的慣用語嗎? 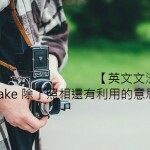 一起和Engvid.com的Rebecca學習和take有關的8個片語吧! 1.When did the accident tack place? 3.It takes forever to load these files. 4.The painkillers should take effect soon. 5.Don’t take side without understanding the issues. 7.Did you take note of how she looked at me? 8. You need to take charge of your life. 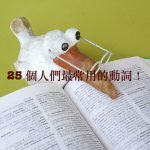 8個實用的機場英語！ on, in, at, by介係詞怎麼用? 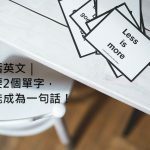 3分鐘一次弄懂!